The funeral is tomorrow, Saturday, August 3. The family will gather in Bellmawr, NJ to celebrate my Aunt Edwyna and her intimate connection with our lives. The Tracy’s will be there. 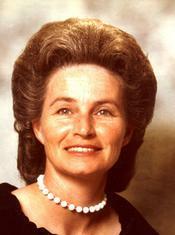 Along with the Whitehorn’s of Tennessee, we will say thank you and farewell to Marjorie Edwyna Tracy. Marjorie Edwyna Tracy (nee Whitehorn). Born and raised in Covington, Tennessee. 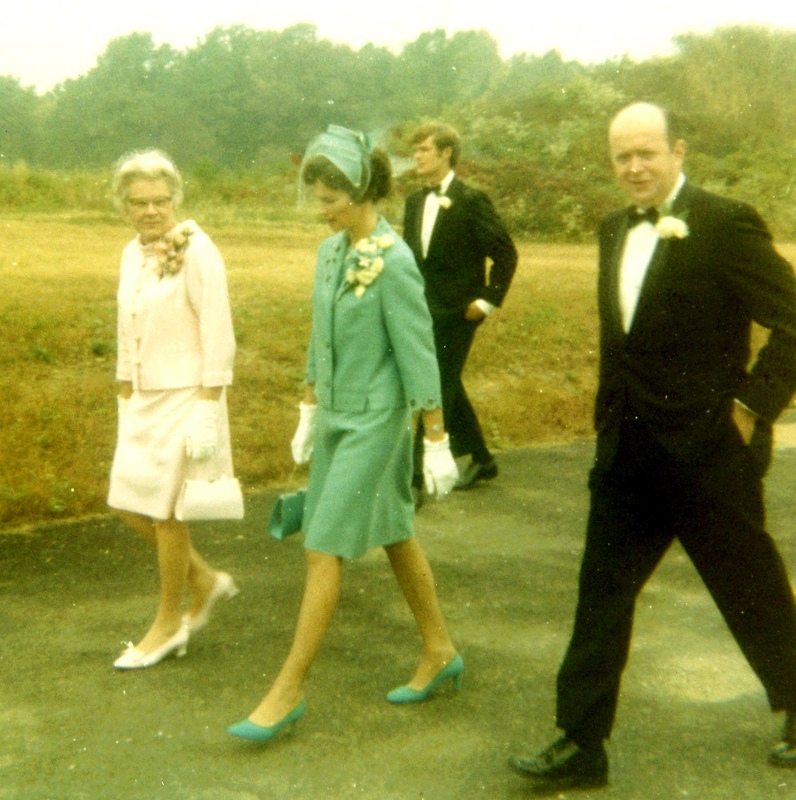 Waltzed through a wonderful life with Basil Tracy in South Jersey and northern Delaware. My father’s youngest brother, Basil Tracy, is as nice a man as there is. Apparently, he also can be thoroughly charming. This kid who grew up in the backwater town of Denton, Maryland found his way to Tennessee, met a beautiful, graceful woman of unrelenting Southern charm and convinced her to live with him in South Jersey. Basil and a pal were out to see the world after Basil finished with the Navy in the late forties. In Memphis, Tennessee their sightseeing adventure reached its climax. Basil met Marjorie. Basil turned on that charm. They’ve been together ever since. Our two families were inseparable and virtually fused into one. For one year in the mid-fifties we all lived together in the same house in Runnemede, NJ. Basil and Marjorie were waiting for their new house to be built in Blackwood, NJ. Marjorie worked that year while my mother took care of two families’ children during the day. From then on, our social lives were each other. Saturday night was at one or the other’s house. In summer a late-afternoon barbecue, hot dogs and hamburgers on the grille, Jersey tomatoes on the hamburgers. The adults played pinochle into the night. The kids (as many as 11, depending on the year) misbehaved and were sent to bed. Vacations were often together, a shared rental house in Ocean City, a week at a campground. Adult recreation was a Saturday at the racetrack – Garden State, Atlantic City, Delaware Park. My father and Basil got the “Telegraph” on Friday night and developed “systems” based on past race performances shown in the paper. My mom and Aunt Edwyna bet on nice colors and horse names that appealed to them. It was a classic contest of the rational versus the intuitive. One August Saturday, the ladies bet on a long shot, a horse named August Sun. It paid around $200 for their $2 ticket – a small fortune in a time when a mortgage payment was $150. That Saturday night we had all the hamburgers you could eat off the grille – compliments of my mom and Aunt Edwyna. My Aunt Edwyna, center, at the wedding of her oldest daughter, Pat. A woman of surpassing grace and poise, her husband, Basil is on the right. In Covington, Tennessee, I learned about Southern hospitality and the world where Aunt Edwyna was raised. It was Thanksgiving, 1966. I was in the Air Force and being transferred from Texas to Alabama. My cousin, Larry, Aunt Edwyna’s oldest child was in the Marines and stationed at Millington Naval Air Station in Memphis. We got together and spent the Thanksgiving weekend at his grandfather Whitehorn’s home in Covington. We arrived there Wednesday afternoon. His grandmother was home, but his grandfather was still at work. I went to the bathroom to shave. While shaving, Grandfather Whitehorn arrived home and went to his bathroom. Now, he had no idea I was going to be there, and he had not seen me since I was a small child. Yet, when he opened the door and saw a young man shaving in his bathroom, without hesitation, he simply said, “Excuse me, sir” and closed the door. I guess you don’t interrupt a man when he’s shaving! In 1950, I was three years old. We lived in an apartment in Paulsboro, NJ. Uncle Basil and Aunt Edwyna lived next door. That’s where I heard the first music I ever remember. It was The Tennessee Waltz, sung by Patti Page. The lives of Marjorie and Basil Tracy combined in as lovely a waltz as any of us could imagine. Many of us will be singing it this weekend. Sorry to learn of your Aunt. She seems so very lovely and graceful in that photo. I am a Whitehorn who spent a few years in the north and had the pleasure of spending time while there with Aunt Edwyna and Uncle Basil. You are right. There is not a nicer person that Uncle Basil. l always enjoy talking to him. In the south we often complement someone by saying they are a “Southern Gentleman”. Well, Uncle Basil is a true Southern Gentleman. We will miss Aunt Edwyna. Uncle Basil and all of the family are in my thoughts and prayers.